If your looking for that special flower arrangement that lasts forever…… you have come to the right place. Our showroom has a large variety of ready made artificial flower arrangements on display and ready for purchase. At Desflora we are spoilt with choice. There are no guessing games here, no generic flower arrangements and no limited options. Everything here is a one of a kind creation, especially for you, just how YOU like it. We love to walk the showroom with you, exchanging ideas, playing around with flowers, mixing and matching until we come up with something you really love. Select your favourite flower colours to match your home decor or give us a brief guide of what you would like and leave the rest to us. We are committed to sourcing the finest quality artificial flowers and creating the most life-like artificial flower arrangements for your home, office or business. 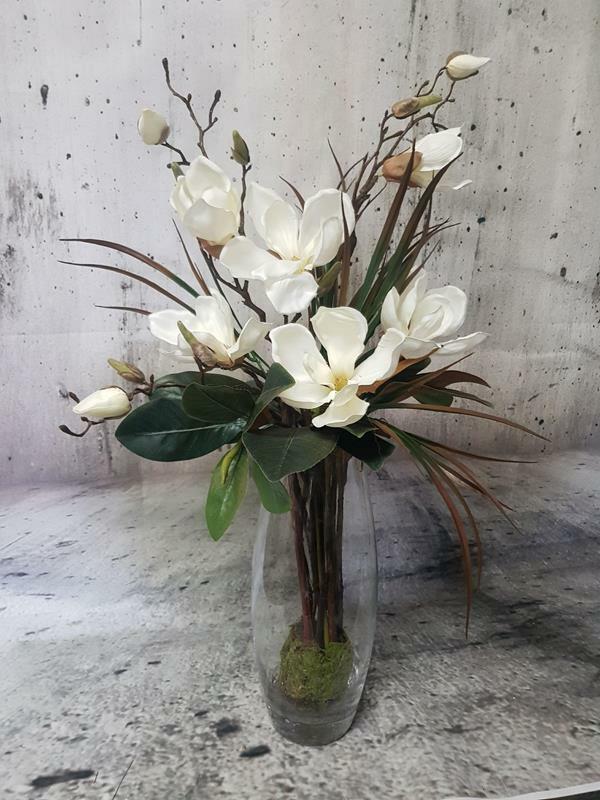 Our artificial flower arrangements always look fresh and are made to the highest standards. We encourage you to bring your own vase from home! We sell a large variety of Glass Vases, ceramic pots and flower containers all suitable for creating flower arrangements….. or ….. you can BYO your own vase.